The gift of recovery. Give yourself or your loved one the best chance at long-term sobriety. Clarity House is proud to open our doors to women, ages 18 and up. Our focus is to provide women with the support and guidance they need to gain a solution to substance abuse while assisting them with reintegrating into society to lead a productive and fullfilling life. Click here to get in contact with us with any questions or concerns you have. We are here to help! Click here to stay up to date with our recovery community and see what’s new on our blog. Click here for answers about addiction, treatment, and other frequently asked questions. We can't wait to hear from you. Call or submit the form below and let us help you grow into your best self. Clarity House is highly active in South Bay recovery, as well as in the community at large. The bonds built within our walls last a lifetime, and form the cement that holds long-term sobriety together! If you or a loved one is struggling with addiction, help is available! – There will be daily chores for residents to complete. Nothing crazy though. – Not sure about the amenities yet. – There will be curfews, just need to look into what makes the most sense with times. – They can have their phones and cars, if felt appropriate and productive for the residents recovery. This will be decided by all staff and their treatment team at IOP. – School or work is encouraged and something each resident will be encouraged to accomplish in their recovery. Through work at their IOP treatment team and involvement in sober living activities, residents will be pushed to gain tools and skills to enter the workforce or school and to be successful while doing it. Depending on their progress in their recovery will determine when it is appropriate to enter such environments. – Each decision, whether it is about having a phone, car, or entering school or work, will be discussed with all managers of the house and the individual, in order to determine the conduciveness it will have on their recovery and its appropriateness in the resident’s life. – We believe healthy living is a significant component to recovery. This included healthy dieting and lifestyle, such as exercise and physical activities like hikes, surfing, bike rides etc. Individual counseling at Clear Recovery Center is one of the cornerstones of the foundation in recovery that the outpatient builds. This is an essential step that helps individuals in their continued recovery. 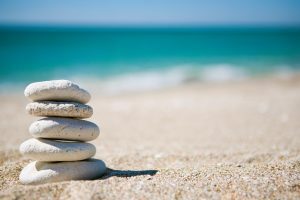 Every member of the outpatient is given a personal councilor who makes a unique addiction treatment plan and works with the individual’s other treatment professionals. The councilor is the main liaison for their clients care. Individual counseling is focused on giving clients a safe environment to change harmful behavior and explore the root problems underneath their addictions. Group Therapy has long been considered a crucial aspect of addiction treatment. Often times, addiction pushes an addict into an isolated lifestyle, which further exaggerates mental and emotional issues. Group therapy helps to reconnect people to a community of healthy relationships which is a big step in addressing these issues. The foundation of group therapy is a safe environment that allows people to safely express their feelings, personal truths, fears, and frustrations. Members of the group are empathetic towards each other’s struggles, which makes group therapy an effective way to facilitate treatment. All counselors at Clear are professionally trained and experienced. They run group therapy with topic based meetings that aid addicts in identifying and working though issues in a group setting. – Community is key. 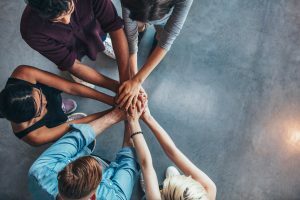 People battling addiction need to be surrounded with healthy and positive people that can aid as motivators to continue on the path of recovery. – Incorporating family involvement. In order for a successful recovery process, the family must be educated, included in the recovery plan, and utilized as a tool for the person struggling with addiction to feel supported and encouraged to continue progressing in their recovery. – Relearning how to live and function in the world substance-free. This includes learning ways to enjoy one’s self without the need to use any substances. We believe that aiding people in finding hobbies, either through encouragement or organized activities, can help people see that life without substances can be fun, and essentially more productive and fulfilling. We strive to allow people struggling with addiction to find enjoyment, contentment, and fulfillment in their lives, while developing healthy coping strategies to life difficulties and occurrences. Through building community and a strong support system, a foundation can be built that can assist people in obtaining long-term recovery.